The world’s biggest global currency trading market is the Forex market which operates hysterically during the working week. The Forex currency trading let purchasers and sellers buy the currency they require for their business and sellers can exchange the currency in place of a more convenient currency. To do this type of trading there is a need for certain platforms known as automated trading software. 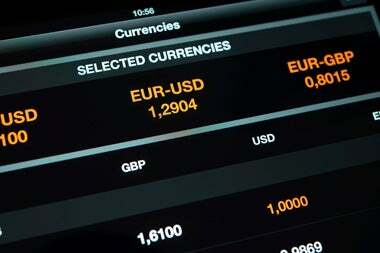 The trading platform is a computer application on which Forex traders can analyze the currency cost changes in the chart structure. There is also a feature of placing various indicators on the charts to help in decoding where the price of the currency pair they are observing could be headed next. Now, the most common used trading platform is called the MT4 where MT stands for MetaTrader and the software is written in MQL which has been developed by the MetaQuotes Software company. The MT4 platform is robust and flexible for currency trading. There are various useful indicators, charts, trading tools, scripts, and many other additions to help in carrying out trading analysis competently. Moreover, it also provides multiple time frames, plus several currency pairs to trade. The charts from MT4 also allows in drawing support and resistance levels, trend lines, Fibonacci retracements, channels and more. The choices are virtually endless with Mt4. One of the most important benefits of using MetaTrader 4 is the implementation of automation into your trading what can enable you to automate your trades. Also, you may check over here the brief guide on how to install the MT4 platform. It can show price movements in three chart formats, the most common of which is the candlestick. Candlestick patterns just on their own can give useful information on price direction to the trader. The other two chart formats are the line and the bar charts.